In some of the cases RASAttachment.zip file may be required for further investigation. 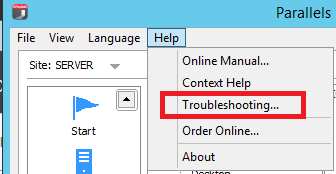 In the Remote Application Server Console click on Help > Troubleshooting. 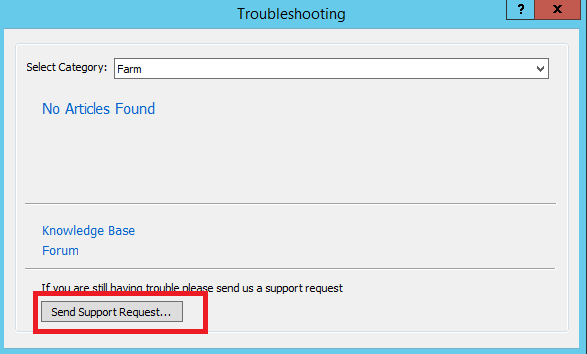 At opened window click on Send Support Request. 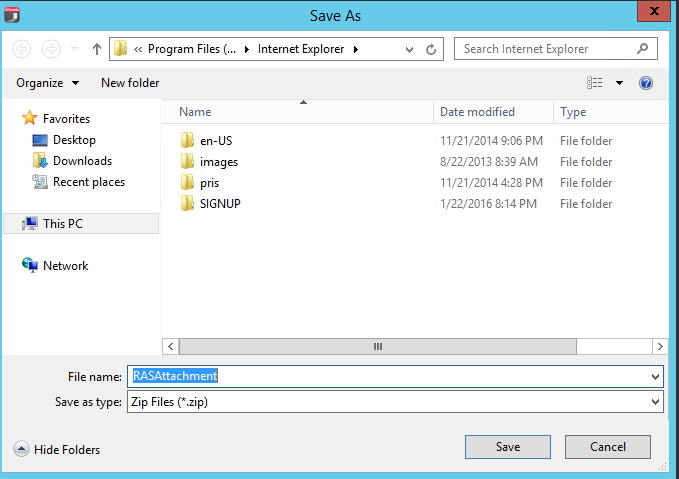 At Contact Support window select the option Save Zip file and click on Save. Note: It may take several minutes to generate RASAttachment.zip. 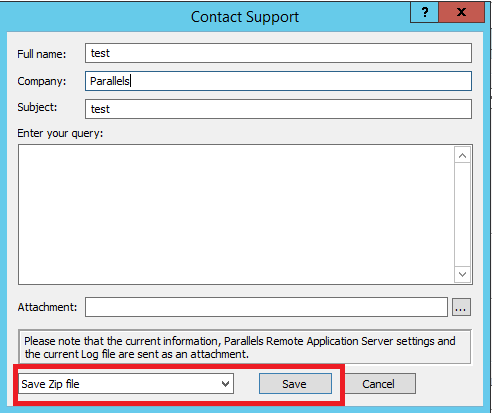 Please wait until Contact Support window is automatically closed.